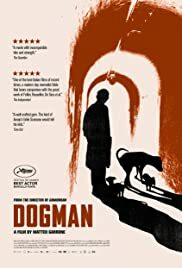 "Dogman" brings the story of Marcello. As the movie opens, we see Marcello groom a dog in his shop, which is called Dogman. We get to know Marcello, who sells some drugs on the side to make ends meet, and who more than anything care much for his daughter whom he sees occasionally. Among his friends (?) is Simon, a former boxer who terrorizes the neighborhood. Simon "convinces" Marcello to participate in a jewel heist, but when things go wrong, Marcello is picked up by the cops. Marcello refuses to rat out Simon and is sentenced to one year in jail... What will happen when Marcello is released a year later? To tell you more of the plot would spoil your viewing experience, you'll just have to see for yourself how it all plays out. Couple of comments: this is the latest movie from Matteo Garrone, who previously brought us the excellent mafia drama "Gomorrah". Here he delves into the lives of small crimes, and along the way examines the human condition. 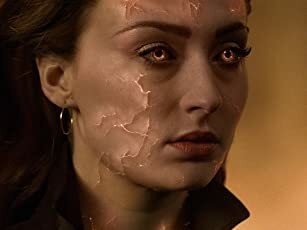 Due to the plot-heavy nature of the film, I can't go into much more details, sorry, just take my word for it that this is an intense but very rewarding movie experience. Marcello Fonte is outstanding in the lead role. The photography is excellent as well (the movie was shot in Castel Volturno, just north of Napoli). 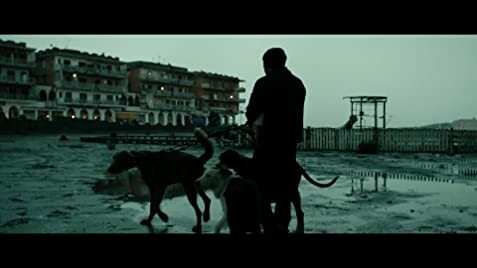 "Dogman" premiered at this year's Cannes film festival, to immediate acclaim. Fonte won the Best Actor award. I happen to catch this movie during a recent family visit to Belgium. The early evening screening where I saw this at in Antwerp, Belgium was attended okay (about 15 people). I have no idea if this will reach US theaters, but imagine that if not else, this will be available on VOD and other platforms. If you are interested in a top notch foreign movie about the human conditions, I readily suggest you check this out when you can, and draw your own conclusion.